It is rightly said that ‘Music gives soul to the universe, wings to the mind, flight to the imagination and life to everything’. Music is something which surpasses all the geographical boundaries, cultures and traditions. On the International Country Music Day, we bring you the most celebrated music festivals in India which are a must-attend if you are a music lover. From a beach converted into a stage to a fort turning into an open theatre, each music festival is unique and charming in its own way! One of the most popular music festivals in India, this is an annual festival featuring music, entertainment, food and shopping. Held at one of the top holiday destinations in India, Sunburn gives enough reasons for music lovers to be a part of the craziest music festival in the country. The most talked about music festival which concentrates on non-Bollywood music, NH7 Weekender was first started in Pune and later got its wings in other Indian cities. This festival proves to be an excellent platform to provide best of experience for both the fans and the artists. Also popular as Jodhpur Folk Festival, this is an annual music and art festival to provide an open stage for all folk artists and musicians from India and other international markets. It focuses more on promoting traditional folk music and has been regarded by Songlines as one of the best 25 international festivals in 2012 and 2013. A part of the famous German Wacken Open Air festival, Bangalore Open Air music festival is considered as the first ever festival in India which features 100% pure metal bands. The festival features both Indian and international artists and music bands. 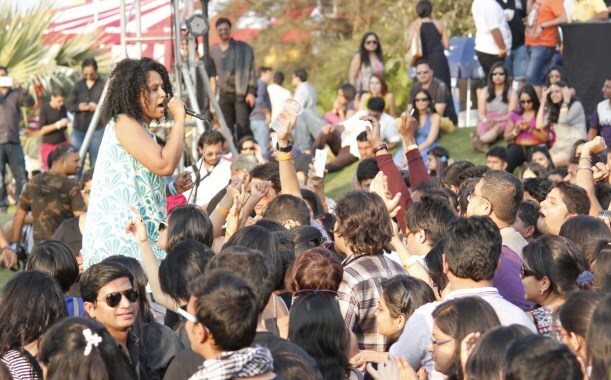 One of the niche Indian music festivals, this one focuses on all kinds of art and music. It features bands, artists, writers, painters, photographers, tattoo artists and much more. Set in the foothills of Himalayas, it provides a natural setting that gives an offbeat experience to the artists as well as the audience. One of the oldest music festivals held in India, Mood Indigo is the annual cultural festival of the Indian Institute of Technology Bombay. This 4-day long festival witnesses more than 1,00,000 students from across India. Simply known as Sawai, this is one of the oldest Indian classical music festivals in India. The festival emphasizes on Hindustani Classical Khayal music, dances, Ghazals, Qawwalis and instrumental music. It played a key role in the development of Indian classical music in India’s post-independence cultural history. With an aim to showcase a mix of cultures all under one roof, Hornbill International festival is organised by Nagaland State Tourism Department and Art & Culture Department every year. It features variety of dance forms, games, music and an array of local delicacies. One of the India’s most authentic camp-out festivals, Strom combines some great music with the serenity and calm of nature in Coorg. It consists of many vibrant genres of music including Indian bands, international artists, jamming sessions and EDM. One of the most scenic and mesmerising music and wine festivals of India, Sulafest is organised in Sula Vineyards in Nashik. It is an experience to sip wine and enjoy international and Indian artists playing music alongside in middle of the vineyard.